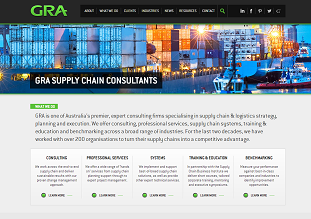 GRA has revealed the company's stunning new website. "Our previous website worked well for several years, however we realised we could improve on our visitor experience." "We have improved navigation and incorporated sort functions for some of our most popular materials such as case studies, articles and whitepapers." "We also identified the need to respond to the increasing trend in mobile usage. So, in addition to the main site, we have launched a new mobile site that will ensure a better user experience for our visitors – no matter what device they are using."